These are fluffy artificial marigold flower strings of 5 feet each. 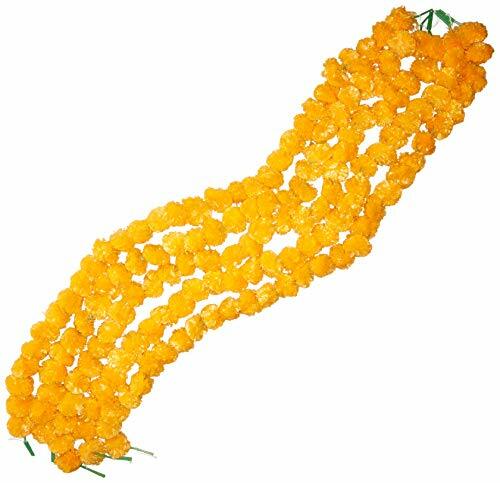 Each packet contains 5 strings of garland. 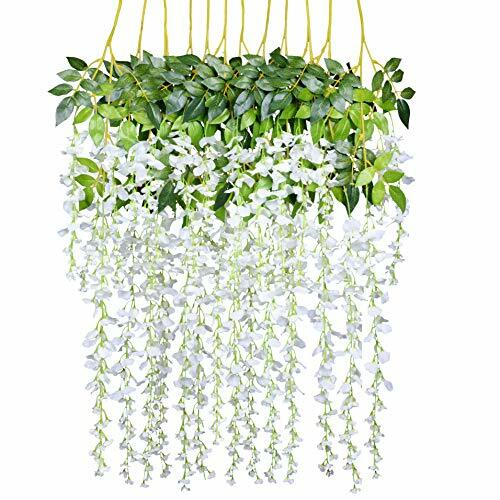 They are used in home, event or party decorations. 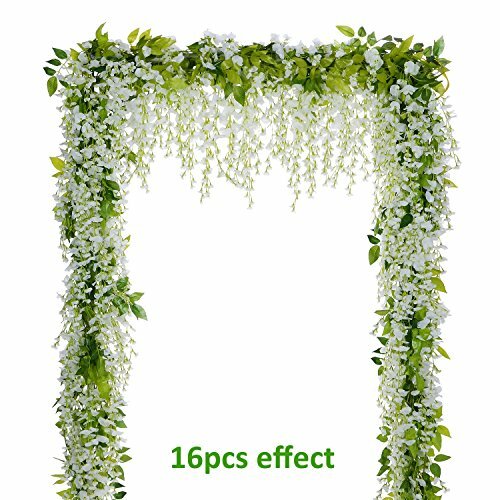 As wedding decorations, puja decorations, baby shower, photo backdrops, wall decor, garden decor, patio or office decor etc. These are vibrant in colors and look beautiful. In India Marigold flower (Genda phool) strings are used widely for any kind of decoration. Garlands may be compact upon arrival. 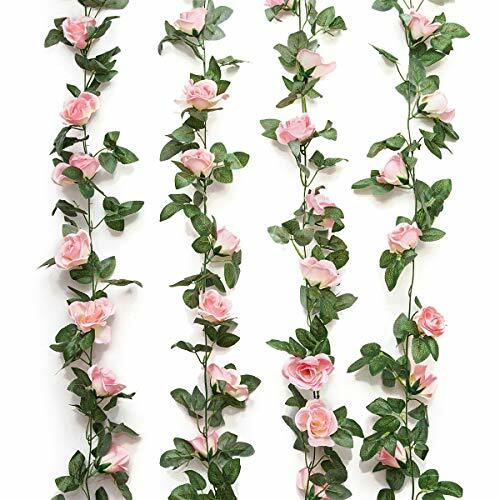 In order to make them fluffy and beautiful like in the pictures simply run your fingers through the garlands or use a blow dryer to add some volume. 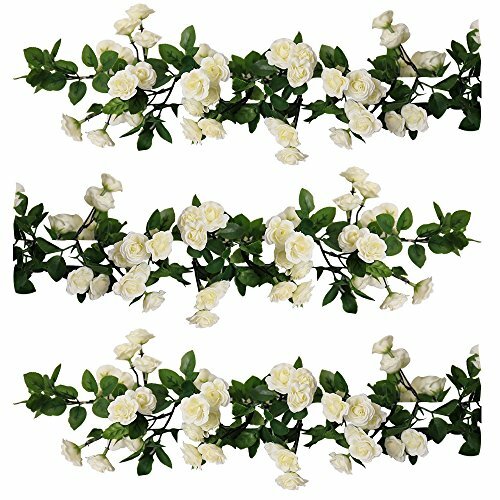 Looking for white wedding flowers? Get beautiful for your big day like these artificial rose. Rose flowers create a romantic look that makes for a wonderful wedding! We are sure it's the right thing you need now. Don't hesitate, bid now and never miss it. You will receive a parcel contains as below. 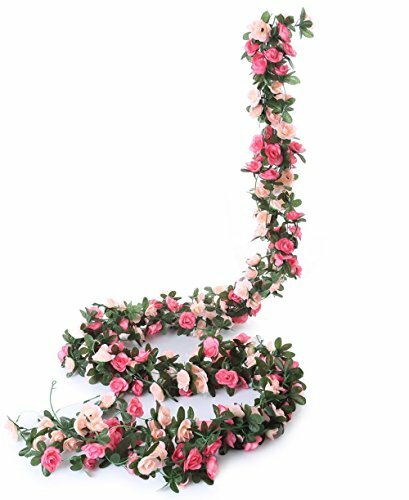 100% brand new and high quality Colour: white,Champagne,pink Material: Silk flowers and leaves, plastic vines Size of vine: appr. 240cm(7.9ft) Size of flowers: appr. 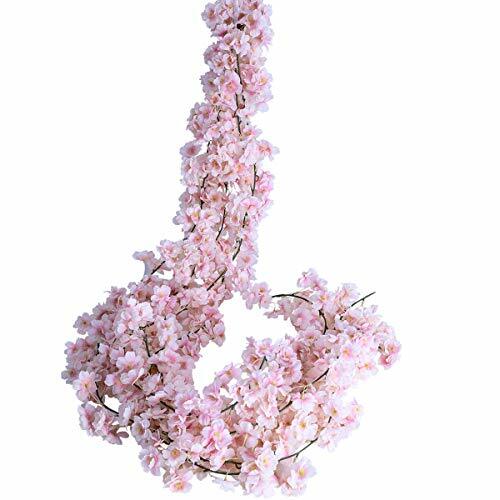 7cm Flower quantity: appr. 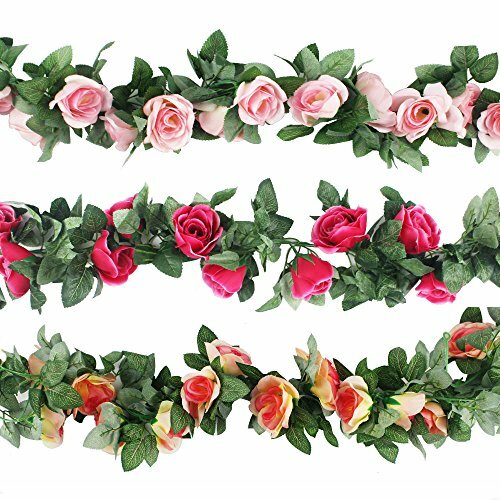 16pcs Package: 2 x flower vine Tips: When shipped, each artificial rose is putting close in order to reduce space. You can adjust the branches to the most natural state. Size: x 3.9\"3.9 x 3.9 x 3.9"
Size: 9.1 x 7.9 x 2.4"x 2.4\"
Size: x 2.4\"13.4 x 8.8 x 2.4"